Rowing has long been recognized as one of the best fitness and aerobic exercises; however, not everyone has the time to hit the water. Luckily, with an indoor rowing machine the benefits of being on the water can be brought to the comfort of your home without any hassle. 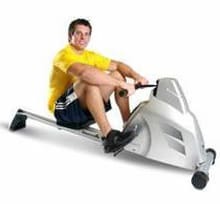 Not only does a rowing machine provide a low-impact workout, but also it works nearly every muscle in the body from the back to the arms to the legs. 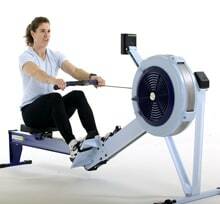 With so many indoor rowing machines available for purchase today it can be difficult to select the best model. 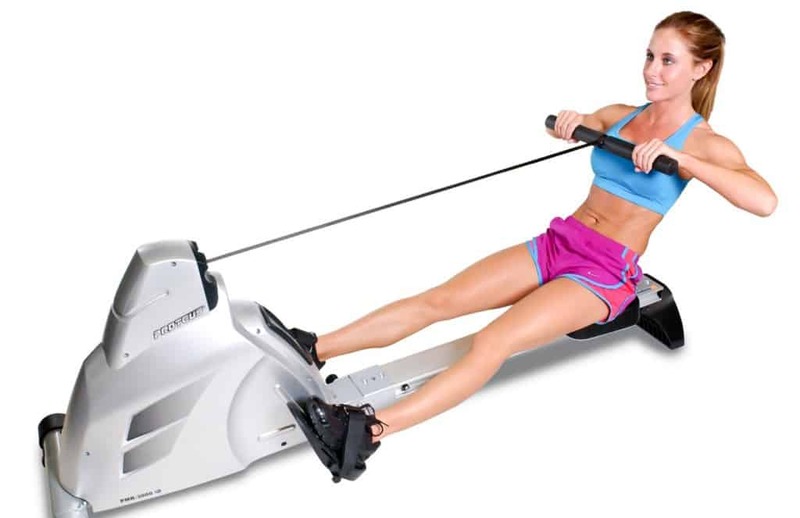 Luckily, we have reviewed the best rowing machines of 2015 to help make your decision a little bit easier. 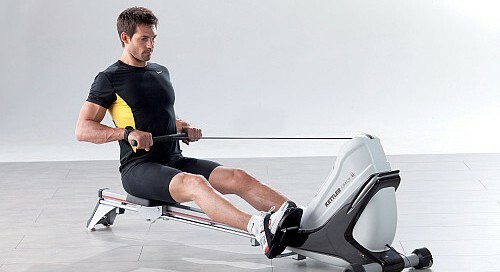 Everyone understands that the rowing machine is one of the best exercise machines for achieving a more toned body. When looking to make an investment in a rowing machine, it is important to consider all aspects from features to durability to reliability. Despite being ranked as our #5 best indoor rowing machines, the Velocity Fitness does many things well, but nothing spectacular. The machine has a large LCD display that allows the user to monitor their time, count, strokes/minute, calories and a heart rate monitor. Despite claims that it is easy to fold and durable, some users have questioned the reliability of the machine. 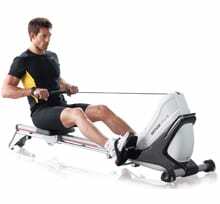 However, at an Amazon.com price of $699.95 this is an excellent budget friendly rowing machine. 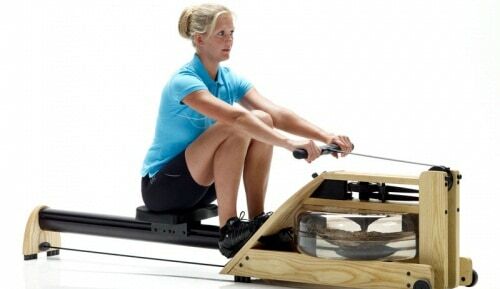 Priced at a whopping $1095 we had high expectations for the WaterRower Club Rowing Machine. Unfortunately, our expectations might have been a little bit too high as this machine fell short of being one of our top ranked rowing machines. Designed to perfectly simulate a boat in water, this machine uses an enclosed tank of water that mimics the resistance of placing paddles in an actual ocean, river or pond. On the positive side, since the machine uses a tank of water there are very few parts that can wear out over time. Unfortunately, this machine does not fold and some users stated that the water tank leaked after repeated use. Manufactured from the same company as our #4 ranked rowing machine, the WaterRower A1 is also a high priced model at $1160. However, this model edges out its predecessor because of its additional features and more user-friendly design. For starters, the state of the art performance monitor keeps track of the user’s heart rate, strokes, calories and more in an intuitive design. Not only does the solid ash and stained honey oak body look beautiful in any home, but also this material helps to mitigate the sound and vibration commonly associated with a rowing machine. On the downside, the price and bulky machine at 117 pounds holds the WaterRower from taking a higher ranking. 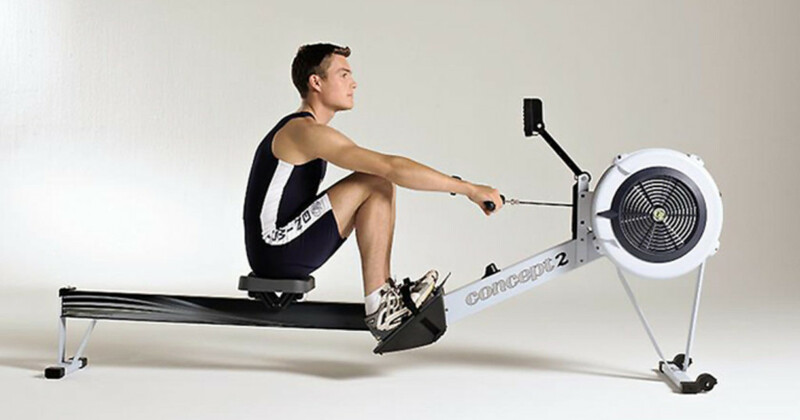 Manufactured from one of the top rowing machine companies in the industry, the Conept2 Model D Indoor Rowing Machine is an excellent option for both newbies to the sport and rowing experts. Designed very simplistically, many people make the common mistake that this model lacks features found in more elaborate rowing machines. 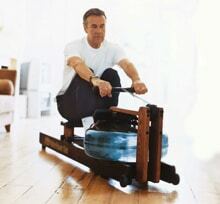 However, the Concept2 includes all the features commonly found in more expensive models without the costly price tag. At a price of $900 on Amazon, the Concept2 is an excellent value that works for any level rower. The product utilizes a proven quick release frame lock that easily separates the rowing machine into two pieces for easy storage and use. One of the best features of this rowing machine is that the information from user to user can be saved on a LogCard. This card allows users to upload their exercise information to the Internet to track their progress or share with friends. Additionally, the LogCard can be taken from Concept 2 machine to another without losing any personal data. As our number 1 ranked product in 2015, the Kettler Coach E Indoor Rower checks off all our must haves and then provides even more features for the user. Designed for people of all fitness and skill levels, users can customize the Kettler Coach to their personal information and goals. 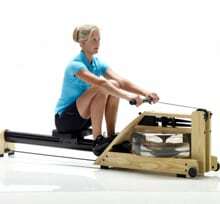 While every indoor rower utilizes an LCD monitor to track performance, the Kettler takes it a step further with a state of the art computer that offers twelve different programs. The Kettle will help you achieve any fitness goal by tracking progress and keeping you updated as you row. Available with a lifetime frame warranty and a three-year warranty for all other parts, owners of the Kettler Coach E Indoor Rower can feel confident that they are getting a reliable product. The only downside with this product is its high purchase price.